Do you get headaches, shoulder pain, tightness in your upper back, tingles or burning in your shoulder or arm? Effecting muscles and tendons between neck and wrist, mousing shoulder occurs when you hold one tense, awkward posture for a long period or repetitively over time without taking proper rest and recovery breaks. 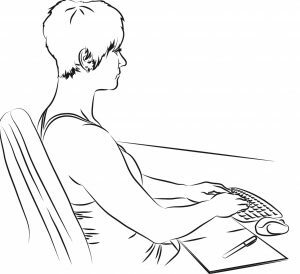 As we work with screens, typing or swiping, we build up tension in our neck and shoulders. The best way to release that tension is with a few big shoulder rotations, deep breath and consciously drop your shoulders, relax back into the chair with arms supported and sitting squarely at your work. o Macro-breaks: an overnight or weekend complete break from any small repetitive movement involving your muscles between your neck and wrist (scrolling through social media is not a rest break). 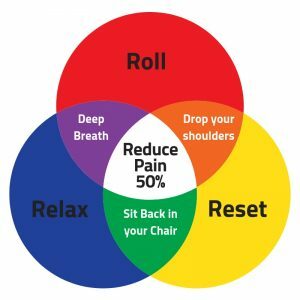 • A few big shoulder rotations, deep breath, consciously drop your shoulders and relax back into the chair with arms supported and sitting squarely at your work. • Do this anytime you find yourself leaning forward, to one side, working with tense shoulders or any time you feel tension or pain in your upper body. 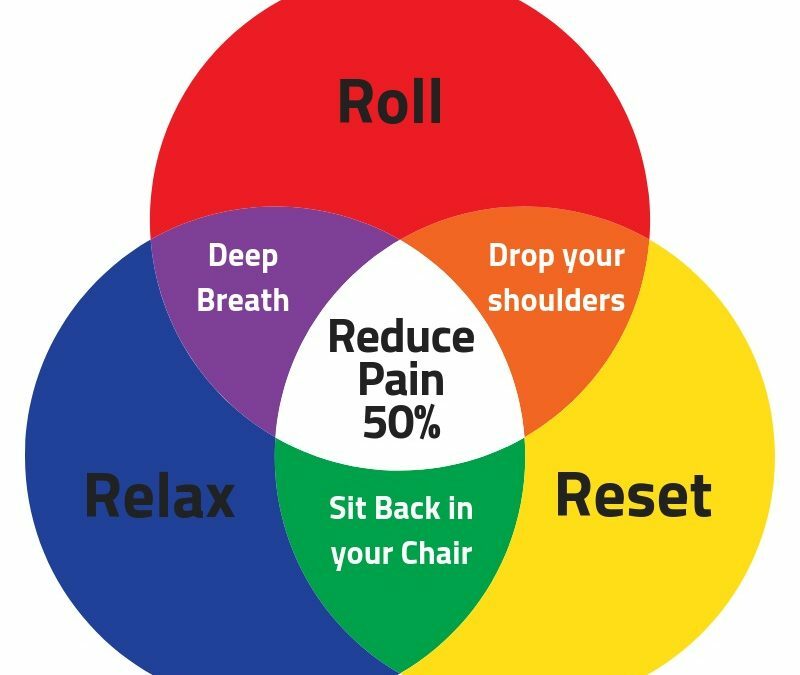 Click Here – To download our Roll-Reset-Relax flyer and notes.